Been playing at Old time music Jam sessions. 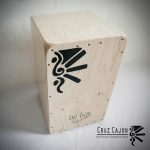 Everybody loves the cajon sound. No so improvised….. all patterns are “robed” by Entre dos aguas, with one note every 10.000 changed…. 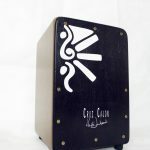 remember that rumba flamenca , rumba catalana and carebbean rumba are trhee pattern very different each with other. Yeah cool reminder article and great video. Our city has summer main street marketplace where musicians who sign up are allowed to play out doors (only time you can without a permit & paying taxes – grrrr) and even leave a case open for some spare change. I’ll walk around till I find a guitarist or 2 and hope in with them. Great idea adding in a little splash on a stand, have to look into that! Keep up the inspirational work! 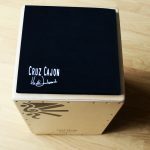 I took my cajon to an acoustic guitar gig a few weeks ago, no one there had ever seen one. They would say, whats that, whats it for? After they heard it they all wanted to play it and find out all they could about it. Of course they all now know who Heidi is and who FK is. Big hit!